Ok, hands up if you like candles? Yep I expected a lot of hands ;) I don't think I know anyone who doesn't. 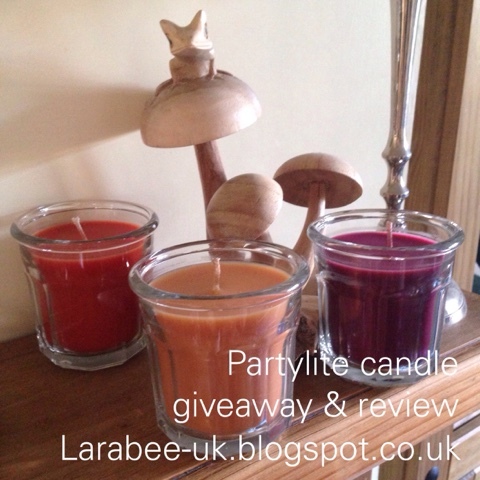 As you know if you're a regular reader I've been changing up all my candles to soy candles which do not contain animal fat so when I was recently asked if I'd like to review some candles from Partylite from the new autumn range I was very happy to oblige. Partylite candles are made from pure soy wax which means they are cruelty free and don't give off the black smoke you get from candles containing animal fats. The natures light jar candle is mulberry scented and comes in a beatiful wood effect glass jar, this candle has a wooden wick and is priced at £20.95, the beautiful maroon colour is perfect for autumn. The burn time on this candle is 40-60 hours so that works out at about 50p per hour (max) not bad when you put it like that. The fragrance is really strong yet not overpowering and smells natural rather than manufactured, this was my first wood wicked candle and it burnt well and evenly, without making a big dip in the middle and lots of unused wax around the edge, a more subtle flame than a traditional wick they give a slight crackling natural wood burn with a glow rather than strong light, just perfect for cosy evenings as the nights draw in. The iced snowberry scented essential jar priced at £11.95 giving a burn time of 40-60 hours too, these work out at super value for money. A traditional wick candle in a gorgeous shaped glass jar, make these candles stylish yet practical. The fragrance is crisp and fresh, just like a snowy morning, with white wax. 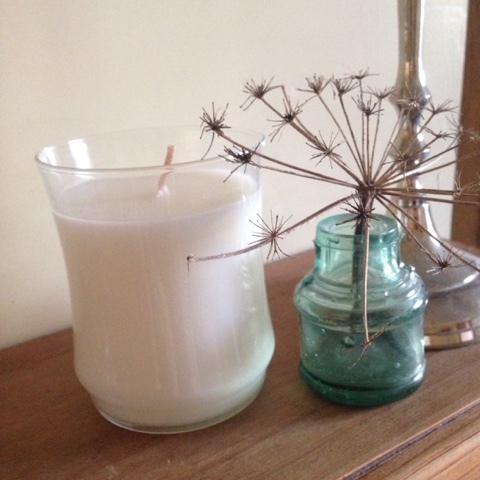 Another great candle for cosy evenings or for a bright glow on a dark winters day. In my opinion these offer great value for money. 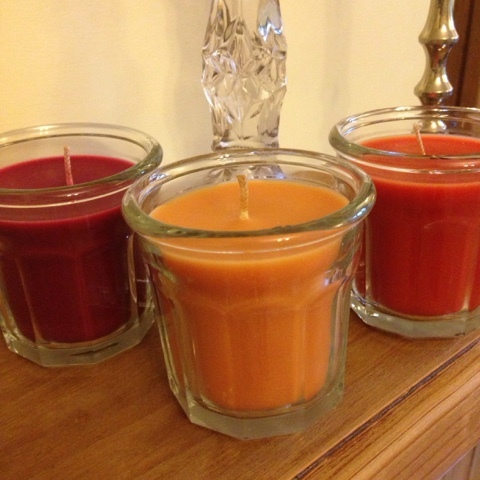 The market fresh scented mini jar trio priced at £24.95 with a 20-30 hour burn time between them offer scents and colours designed just for autumn, these candles feature the favourite smells of the season, harvest spice features apples, pumpkins and spices and is a beautiful deep orange colour. Caramel pear is a gorgeous gold colour and is scented with sweet caramel and apple. 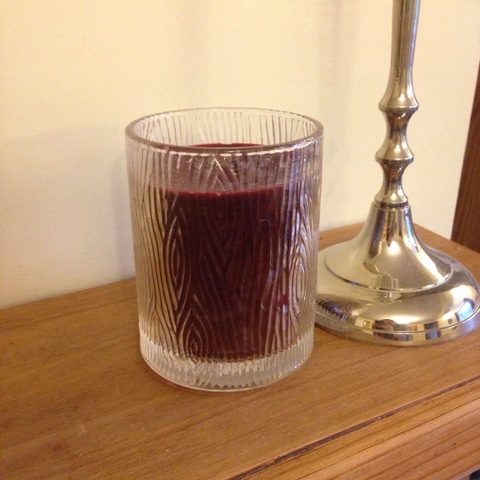 Berry bramble is a mix of woodland berries with woody notes in a similar rich maroon colour as the mulberry candle. You can find more details about Partylite on their website, you can order direct or host a party, where where special host gifts are offered. I am excited to be able to offer one of my lucky readers a chance to win the market fresh mini jar trio, enter using rafflecopter below. Disclaimer: we were sent these candles for the purposes of our honest review all opinions are our own.